When I think back to old versions of Linux operating systems, it often isn’t the interface that comes to mind — it’s the default wallpapers! You know, the background images that greet all of us after a fresh install. The ones that we see again and again in screenshots all over the web. When I first discovered Linux, a brightly-colored heron stood proud from behind Ubuntu’s bottom panel. A giant blue planet floated in the background as I explored Fedora. I loved the fuzzy, blurry dots scattered about the blue backdrop of KDE Plasma 4.2. Time has passed, but many of those wallpapers are still available. Ready for a nostalgia trip? Let’s go look for them! Let’s start with Ubuntu. There was a brief period when selecting a new default desktop wallpaper was a big ordeal. Version 8.04 “Hardy Heron” featured an ornate, colorful heron. 8.10 “Intrepid Ibex” had a more subtle Ibex etched into the background. These two releases were the exception to the usual abstract art, but they were the first two versions I encountered, and those images lunged into my mind as part of the Ubuntu identity. Ubuntu releases began with a brown, orange-y theme. That changed with version 10.04 “Lucid Lynx,” when Ubuntu ditched brown for purple. 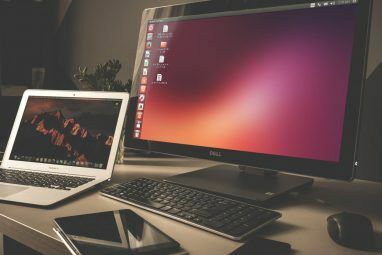 Within the next year, users started seeing the Unity interface appear on their desktops Unity Explained: A Look at Ubuntu's Default Desktop Environment Unity Explained: A Look at Ubuntu's Default Desktop Environment If you're switching to Linux from Windows, you might choose Ubuntu. But despite it's versatility, Ubuntu comes with an unusual desktop environment, Unity. Don't be discouraged: it's simple to use! Read More . This was a time of big changes for Ubuntu… but not its wallpapers. Those have only seen minor tweaks in the half decade since. Jean-Francois Fortin Tam, co-maintainer of Pitivi and a member of the GNOME Foundation, provides an unofficial Ubuntu archive containing default wallpapers up until version 10.10. OMG! Ubuntu! has a habit of announcing the default wallpapers for each new release. You can also find wallpapers for every release on a site called OS Wallpapers. Fedora has an affinity for blue 5 Reasons to Use Pure Open Source Distro, Fedora 5 Reasons to Use Pure Open Source Distro, Fedora Fedora isn't as well known as Ubuntu, and has a reputation for being hard to use. But if this is true, why do so many people continue using Fedora? Read More . While the shade and hue may vary from one version to the next, each release has stuck with the color since the very beginning. 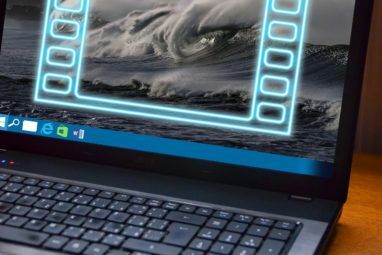 Given the project’s long history, this leaves people who love blue with a great source of desktop backgrounds, regardless of what OS or distro they use. You can also grab supplemental wallpapers that Fedora doesn’t include on the Fedora installation disc. The package names used codenames rather than version numbers for releases older than Fedora 21. For example, the following commands show how you install wallpapers on Fedora 20. Alternatively, you can grab the default wallpapers for versions 18 to 25 on OS Wallpapers. What do you know about openSUSE? It’s green! How do you know that? Well, the wallpaper, for starters. Then there’s the Geeko. Isn’t he lovable? He’s one of many reasons to give this long-running distro a try 6 Reasons You Should Choose openSUSE and the Geeko 6 Reasons You Should Choose openSUSE and the Geeko There are good reasons openSUSE continues to attract users, and here are some of them. Maybe you will be the next person to fall in love with the Geeko. Read More . You can find five years of openSUSE wallpapers on GitHub, going back to version 12.1. These are SVG files. If you know of another archive saving these in a more readily accessible format, let us know in the comments! I personally have found openSUSE-inspired wallpapers to be more compelling than the actual defaults. I say this not to disparage the project, but to encourage you to take a look for the great art community members and fans have created over the many, many years that SUSE has been around. 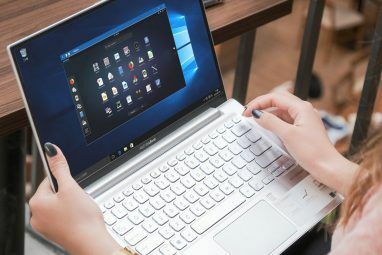 Linux Mint is one of the most popular desktops for new Linux users, as the Cinnamon desktop environment isn’t hard to figure out if you’re coming from Windows. Many people recommend it as a more friendly option than Ubuntu Linux Mint vs Ubuntu: Which Distro Should You Choose? Linux Mint vs Ubuntu: Which Distro Should You Choose? Linux Mint and Ubuntu are two of the most popular Linux distros, but there are real differences between the two. Which one is right for you? Read More . Linux Mint’s aesthetic tends to follow the mood of the broader Linux ecosystem. Early versions used the then-popular Shiki-Colors theme. In the latest release, it’s all about Arc. The default wallpaper, on the other hand, tends to be pretty basic. Expect to see the Linux Mint logo prominently placed on a relatively muted background. For wallpapers going all the way back to Lint Mint 3, head over to OS Wallpapers. And if you haven’t already noticed, this distro also has a thing for green. Kubuntu has long been a dominant way to experience KDE. 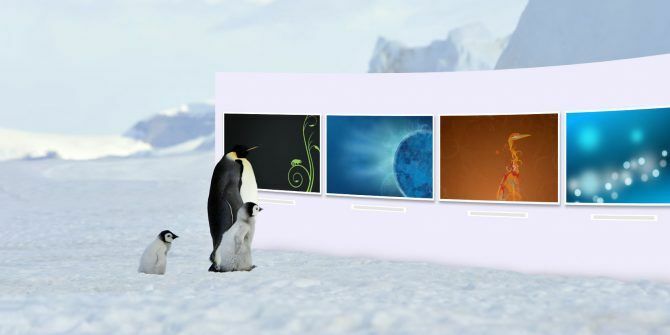 While it has distinct wallpapers, unlike Ubuntu, these aren’t unique to Kubuntu. These wallpapers come straight from the KDE Plasma team and are available to people on other distributions and operating systems KDE Explained: A Look at Linux's Most Configurable Desktop Interface KDE Explained: A Look at Linux's Most Configurable Desktop Interface What does Linux look like? Sometimes, Unity; other times, GNOME. Oftentimes, though, Linux runs KDE. If you're not using the erstwhile K Desktop Environment on your Linux PC, now is the time to change! Read More . I’m personally a fan of the abstract art that has come from the KDE team, especially during the early days of the 4.x transition. Even many years later, I still consider those first four to be treats for the eyes. But if you like bold colors, the 5.x wallpapers are the way to go. OS Wallpapers has images going back to Kubuntu 8.04 (the last version to ship with KDE 3), except there’s a big gap between 2011 and 2014. Elementary OS isn’t an old distribution, but it has established somewhat of a reputation for having great wallpapers. Unlike the other big players, you’re won’t find abstract colors here. Elementary OS goes for photos. When you boot into your desktop for the first time, expect to see some sort of nature shot It's Time to Try Something New: Elementary OS Loki It's Time to Try Something New: Elementary OS Loki Elementary OS isn't your typical Linux distribution. Some would say it isn't a distro at all. But is Elementary really a usable alternative to Windows and macOS as its developers claim? Read More . You can find some of the older inclusions on GitHub. Meanwhile, OS Wallpapers has complete collections of all the defaults included in Freya and Loki. Which Flavor of Linux Had the Best Wallpapers? We all started using Linux at different times, so what elicits nostalgia will change from person to person. We also have different tastes. While some of us may like the work a distro used to put out, others are bound to prefer what’s coming out now. Fortunately these wallpapers linger around the web for a long time, making it easy to find our favorites from yesteryear. When did you start using Linux? Did you prefer the wallpapers back then? Which distros do you feel offer the best? Chime in and let’s all relive fond memories together! Explore more about: Linux, Wallpaper.